A while back I came across this blog post about my friend, Grief. It is titled In Between Grieving and Acceptance. The stories and thoughts she shared touched me when I read it then and again today. I too, have felt the loss of a dream. But this past Saturday I was given a little reminder that maybe that dream isn’t as lost as I feel it is. Maybe my dream still lives on. Maybe my dream just looks a little different. I ran my first race! It was pretty epic, for me. 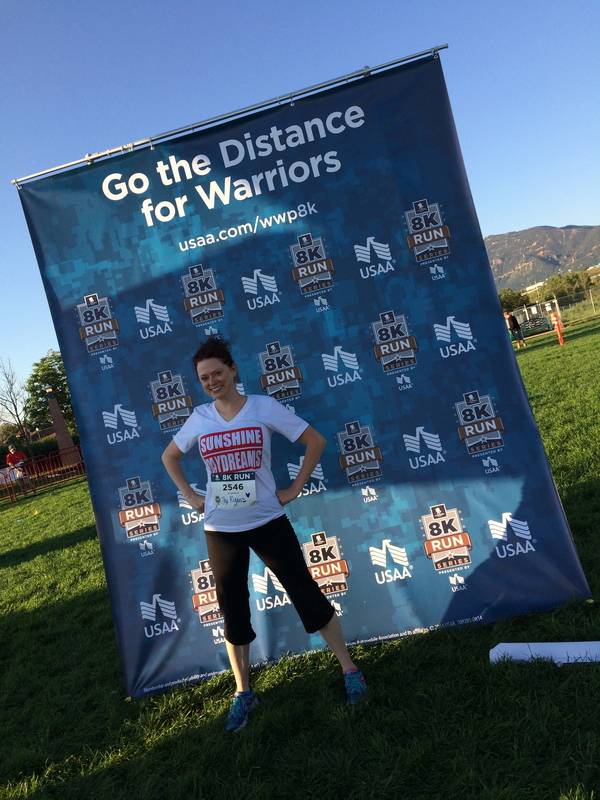 I ran the Wounded Warriors Project 8k. You are still able to donate to the cause HERE. Anyway, I saw someone that looked so similar to Lord V. Mannerisms and everything. Of course I couldn’t help myself and I approached the man. They even have similar names! Really Universe??!! Really?!? Well, it kind of made me crazy and pissed me off. Here is the awesome part: God has blessed this world with more men that look like He-Who-Must-Not-Be-Named. What a beautiful thing. Seriously, I am crying. Although I think it would be kind-of creepy if I ended up with a man that looks like him…but isn’t him. But thank you. Thank you God for mountain men with crazy long hair and full-on beard. Lovely. And to My Guy on a Buffalo, love you.